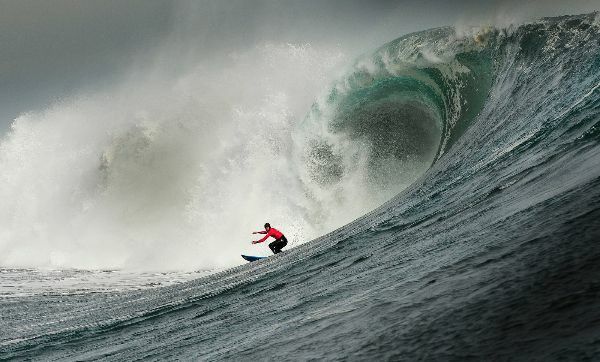 LOS ANGELES, Calif. — Monday, April 27, 2015 — Today, the World Surf League (WSL) Big Wave Tour (BWT) is placing the Quiksilver Ceremonial in Punta de Lobos, Chile on Greet Alert to commence on Thursday, April 30, 2015 with a projected 20-foot-plus swell heading towards the region. The Quiksilver Ceremonial in Punta de Lobos will be contested by 24 men, led by reigning BWT Champion Makuakai Rothman (HAW) and including the Top 10 finishers from last season, six WSL wildcards, six event wildcards and two qualifiers from the 2014/2015 season. With a seven-event tour spanning Chile, Peru, Mainland Mexico, Baja California, Hawaii, the Basque Country and the Pacific Northwest, the 2015/2016 WSL Big Wave Tour features big wave icons such as Grant Baker (ZAF), Greg Long (USA), reigning world champion Makuakai Rothman (HAW) amongst others as they battle one another in the biggest surf on the planet. We’ve been carefully watching this storm over the last few days and it has been impressive to say the least. Satellite recorded wind of 50 knots+ over a vast fetch have been observed, with pockets of hurricane force wind as well. Furthermore, we have seen multiple passes of satellite confirmed seas in the 40-45 foot range, with two separate passes indicating seas of 55 feet+. To give a little perspective to that, outside of this storm I can count on one hand the number of times I have seen satellite confirmed seas of 55 feet or greater in the last decade. The one knock against this storm is that it didn’t carry quite as much strength to within 1500 miles of Lobos as forecast a few days ago. That has pushed the timing of the swell back slightly so that it peaks after dark on Thursday, with a very gradual downward trend on Friday but solid all day. Also, size looks down a notch from our last forecast for the same reason (distance). Make no mistake, though, this will be a very solid swell by Thursday mid to late afternoon/evening through Friday. Surfline. The Quiksilver Ceremonial Chile will be available in an On Demand capacity at WorldSurfLeague.com.